October 16th is World Food Day, a day to promote awareness and action for those who suffer from hunger and a lack of food security. Through USAID Farmer-to-Farmer program, Winrock volunteers are helping contribute to #ZeroHunger by sharing their expertise in sustainable agriculture methods and post-harvest loss reduction. Their efforts help smallholders increase productivity and income, empower themselves by forming cooperatives, and increase resiliency by diversifying the products they are able to sell. Continue reading to learn about a recent success story that embodies the efforts behind World Food Day and #ZeroHunger. 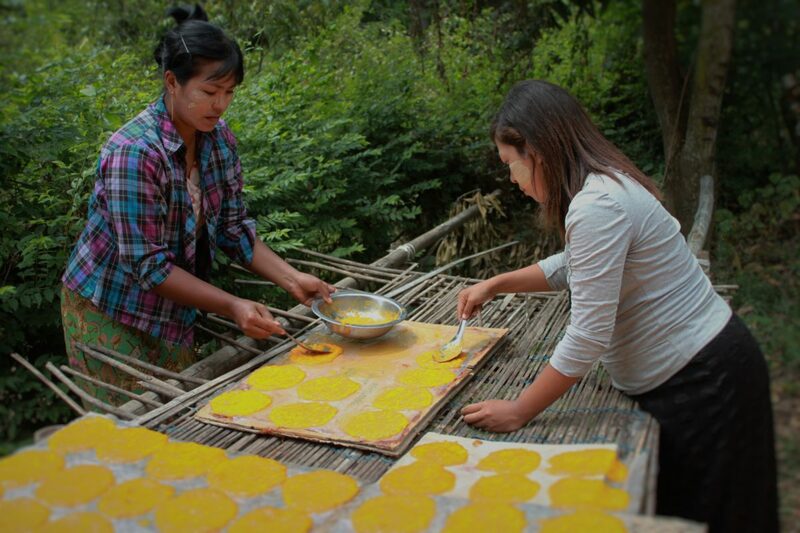 There are more than 400 mango varieties mangos in the world, and Myanmar is home to over 190 varieties with a distinct taste, color, and shape. 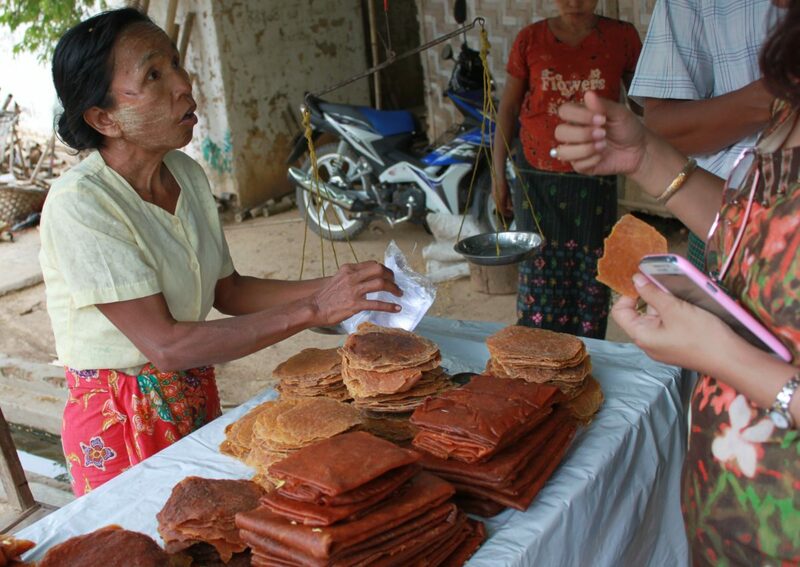 In 2016, one F2F volunteer evaluated 132 varieties from four regions of Myanmar, 19 of which were determined to have commercial potential. Farmers in the Mandalay Mango Farmer Group subsequently received technical training from two F2F volunteers, Mr. Brian Flanagan, and Dr. Martin Lo, on improved post-harvest handling and processing techniques and food safety standards. Adopting these simple post-harvest handling and food safety practices has allowed about 100 farmers (25%) within the Mandalay Mango Farmer Group to obtain Myanmar Good Agricultural Practices certificates from the Ministry of Agriculture, Livestock and Irrigation, which will also help them to sell to more profitable markets. Ma Chan Mya Nyein comments, “I have become focused on food safety and quality after the training. I’m always careful of my fruits … are good quality and safe. 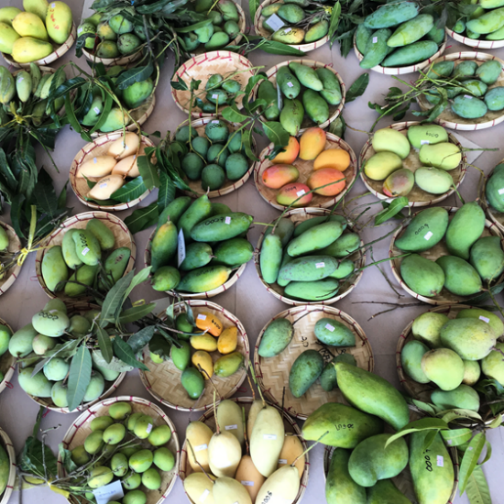 Clients also praise that the mangos are in high demand.” In addition, due to farmers’ new connections with the Mandalay Mango Farmer Group, individual farmers have been able to receive better information on market prices, demand, and supply to improve their selling practices. The Mandalay Mango Farmer Group is also disseminating the volunteers’ training materials. They have copied the materials and have shared them with over 100 farmers in the region. In addition, six female teachers and researchers from the post-harvest technology training center in Mandalay attended the training and are now able to provide improved technical assistance to farmers with questions on post-harvest handling and processing of mangos.